Contract Medical Officers and Contract Medical Consultants working in the Government Medical Institutions - Bringing into regular time scale of pay - Orders - Issued. 1. G.O. (Ms) No.197, Health, dated 7.6.2004. 2. G.O. (Ms) No.31, Health, dated 3.3.2005. 3. From the Director of Public Health and Preventive Medicine, Letter No.47018/E5/A3/2006 dated 24.5.2006. 4. From the Director of Public Health and Preventive Medicine, Letter No.47018/E5/A3/2006 dated 27.5.2006. 5. From the Director of Public Health and Preventive Medicine, Letter No.47018/E5/A3/2006 dated 7.7.2006. In the Government Order first read above, orders were issued for the creation of 186 posts of Medical Officers in the 93 upgraded Primary Health Centres on contract basis on a consolidated pay of Rs.8,000/- at the rate of 2 posts for each upgraded Primary Health Centre. Doctors with MBBS qualification - Rs. 8,000/- p.m.
Doctors with MBBS and Post Graduate diploma qualification - Rs. 9,000/- p.m.
Doctors with MBBS and Post Graduate degree qualification - Rs.10,000/- p.m.
3. The Director of Public Health and Preventive Medicine has stated that as on date against 186 posts of Contract Medical Officers sanctioned to the 93 upgraded Primary Health Centres, 153 Contract Medical Officers are in position and the remaining 33 posts are vacant. The Director of Public Health and Preventive Medicine has, therefore, stated that the 186 posts of Contract Medical Officers to the 93 upgraded Primary Health Centres sanctioned on a consolidated pay of Rs.8,000/- p.m. may be brought into time scale of pay of Rs.8000-275-13500. 4. The Director of Public Health and Preventive Medicine has also stated that as against the permission accorded for filling up 2322 Contract Medical Consultants in the vacancies available, only 1575 Contract Medical Consultants were in position as on May 2006. Even among these Contract Medical Consultants, some of them have been selected by Tamil Nadu Public Service Commission and they were given necessary appointment as Assistant Surgeon in the time scale of pay. The remaining 1352 doctors who are working as Contract Medical Consultants have to be absorbed in the time scale of pay. The Director of Public Health and Preventive Medicine has, therefore, requested the Government to consider the need for bringing the Contract Medical Officers / Contract Medical Consultants into time scale of pay of Rs.8000-325-13500 in order to make them to discharge their duties with more dedication and commitment in serving the vulnerable rural sections of the society. 5. Apart from the Contract Medical Consultants there are about 30 Medical Officers who are working in Tamil Nadu Medical Service on temporary basis on time scale of pay without being selected by the Tamil Nadu Public Service Commission for regular appointment in the Special Qualifying Examination held earlier. 6. The Government have examined the above proposals and direct that the 153 Contract Medical Officers and 1352 Contract Medical Consultants who were appointed on consolidated pay of Rs.8000/- p.m. be appointed temporarily as Assistant Surgeon in the Tamil Nadu Medical Service in the time scale of pay of Rs.8000-275-13500 with other allowances admissible to the post as per the rules and orders in force with effect from 1.11.2006 in relaxation of rule 10(a)(i) of the General Rules for the Tamil Nadu State and Subordinate Services and they will be allowed to continue in service pending passing of Special Qualifying Examination to be conducted by the Tamil Nadu Public Service Commission. 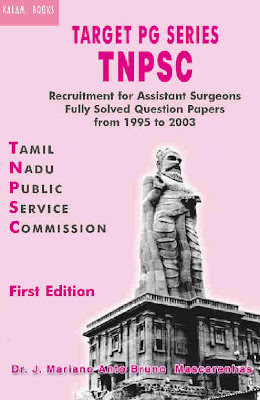 The Government also direct that about 30 temporary Assistant Surgeons who are working in the Tamil Nadu Medical Service on time scale of pay without being selected by the Tamil Nadu Public Service Commission for regular appointment in the Special Qualifying Examination conducted earlier are instructed to appear for the Special Qualifying Examination to be conducted by the Tamil Nadu Public Service Commission. 7. The Government also direct that their seniority shall be fixed by the merit list drawn by the Tamil Nadu Public Service Commission in the Special Qualifying Examination to be conducted by the Tamil Nadu Public Service Commission under rule 35(a) of the General Rules for the Tamil Nadu State and Subordinate Services. 8. The Government also direct that the 186 posts of Contract Medical Officer created in the Government Order first read above, be brought into time scale of pay of Rs.8000-275-13500 with effect from 1.11.2006 with other allowances admissible to the post as per the rules and orders in force. However only 153 persons are working in the above sanctioned posts. 9. In exercise of the powers conferred under rule 48 of the General Rules contained in Part-II Tamil Nadu State and Subordinate Services Rules in Volume I of the Tamil Nadu Services Manual 1987, the Governor of Tamil Nadu hereby relaxes the rule 10(a)(i) of the General Rules for Tamil Nadu State and Subordinate Services so as to enable the Government to appoint 153 Contract Medical Officers and 1352 Contract Medical Consultants temporarily as Assistant Surgeons in the Tamil Nadu Medical Service pending passing of the Special Qualifying Examination proposed to be conducted by the Tamil Nadu Public Service Commission. 10. The Director of Public Health and Preventive Medicine is directed to instruct all the Contract Medical Officers and Contract Medical Consultants who are brought into time scale of pay to appear for the Special Qualifying Examination proposed to be conducted by the Tamil Nadu Public Service Commission for regularizing their services. Further, the temporary Assistant Surgeons who are in service without being selected by the Tamil Nadu Public Service Commission in the Special Qualifying Examination conducted earlier shall also be instructed to appear for the Special Qualifying Examination to be conducted by the Tamil Nadu Public Service Commission for regularisation of their services. 11. The individuals mentioned above who have not passed in the Special Qualifying Examination proposed to be held shall be ousted from service without assigning any reason therefor. 12. This order issues with the concurrence of the Finance Department vide its U.O.No.350 / DS (PU) / 2006-1 dated 20.11.2006. The Director of Public Health and Preventive Medicine, Chennai-6. The Director of Medical and Rural Health Services, Chennai-6. The Secretary, Tamil Nadu Public Service Commission,Chennai-2. The Accountant General (A&E), Tamil Nadu, Chennai-18. The Accountant General (Audit), Tamil Nadu, Chennai-18. The Pay and Accounts Officer (South), Chennai-35. The Pay and Accounts Officer (East), Chennai-5. The Pay and Accounts Officer (North), Chennai-79. Personnel and Administrative Reforms (Pers.C) Department, Chennai-9. The Special Personal Assistant to Minister (Health), Chennai-9. The Special Personal Assistant to Minister (Finance), Chennai-9. The Secretary to Chief Minister, Chennai-9.